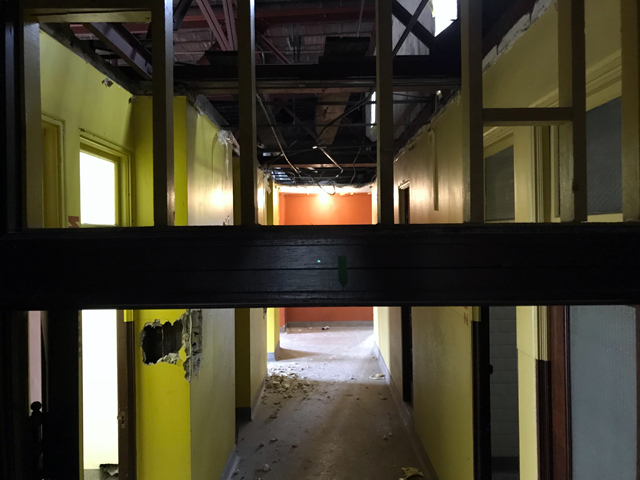 Work to renovate the former Concordia College campus on the near West Side is ongoing. Published March 8, 2018 at 9:03 a.m. 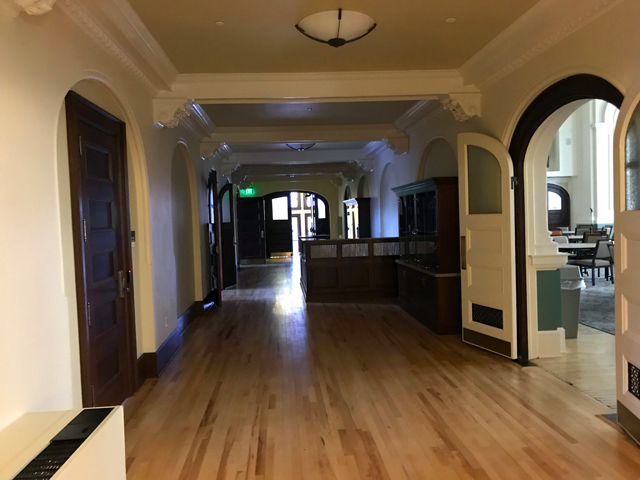 In 2015, we went inside the former Concordia College campus on the city's near West Side to look at its history and the ongoing work by the Forest County Potawatomi to renovate the buildings, which it's owned since 1990. Now called the Wgema Campus, these buildings have been getting new life after sitting vacant or underutilized for many years waiting for a renaissance. But they haven't all been empty. Woodlands School has been on campus for a number of years, as was the Indian Community School before that. 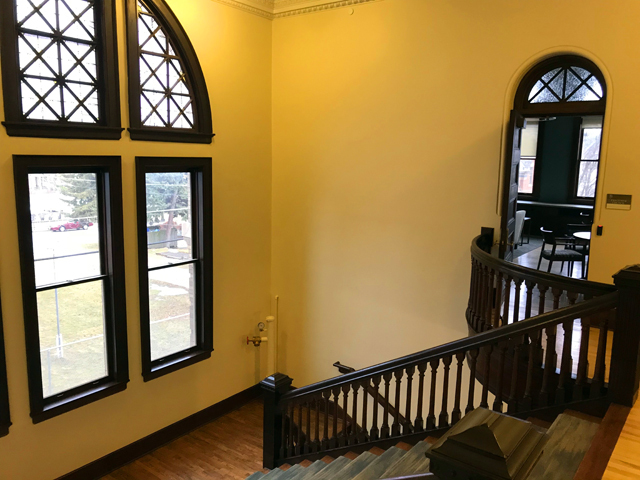 The Forest County Potawatomi have also rehabbed buildings as office space and for other purposes, helping to boost the neighborhood. You can read that initial story, which has a lot of the background information, here. 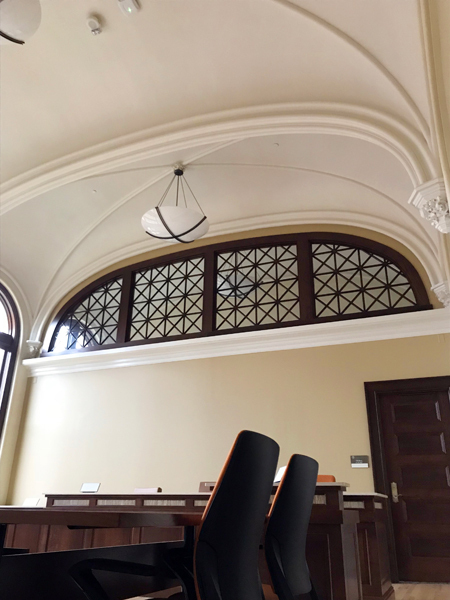 At the time, work was focused on the beautiful Beaux Arts Albrecht Hall, designed by Eugene Liebert. In 2016, we went back to look at the progress of that work. 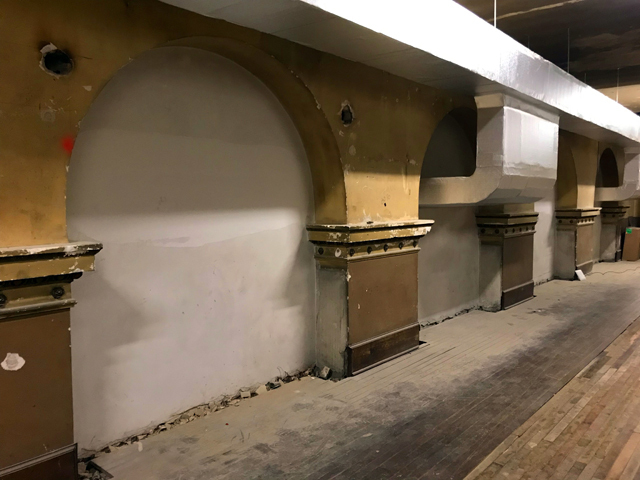 Last week, we returned again to see Albrecht Hall (now called Wgetthta Hall) and to look at the now-ongoing work to renovate the nearby refectory, or dining hall, which was designed by R.A. Messmer and built in 1925. 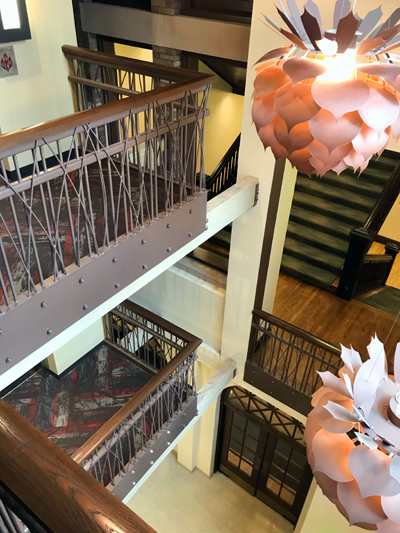 Work on Albrecht Hall has been completed and the garden level and first and second floors currently house offices of the Potwatomi Foundation, its Gaming Commission, Executive Council, Legal Department and Tribal Court. 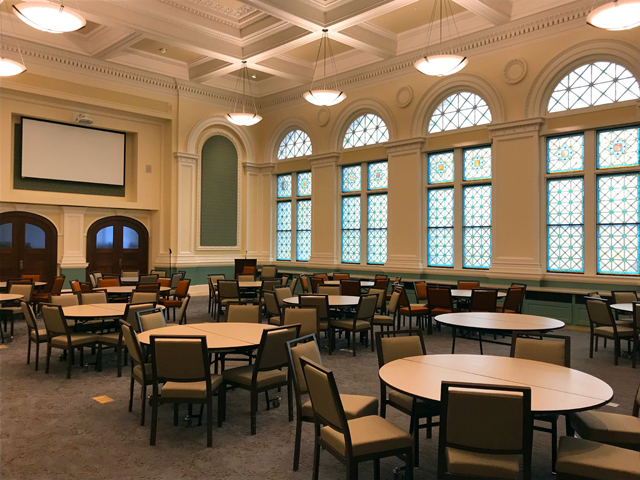 The third floor, which was once a gallery overlooking the ballroom – the arched openings have been closed – has not been renovated and is currently only used for infrastructure. 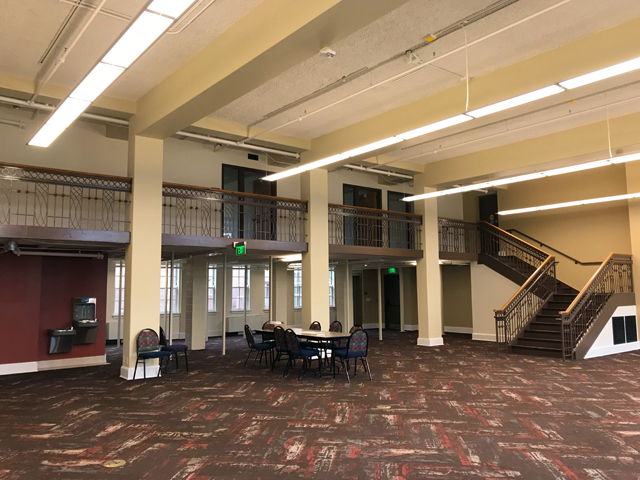 The connected former library building – now called the Wgechda Building – has also been renovated and there's a big communal space on the main floor with office space on a mezzanine that has drawn interest from a potential tenant. Spaces on the second floor are used for a variety of tribal events. Work is expected to begin on the refectory – now called the Wgemas Building – next door in mid-March. 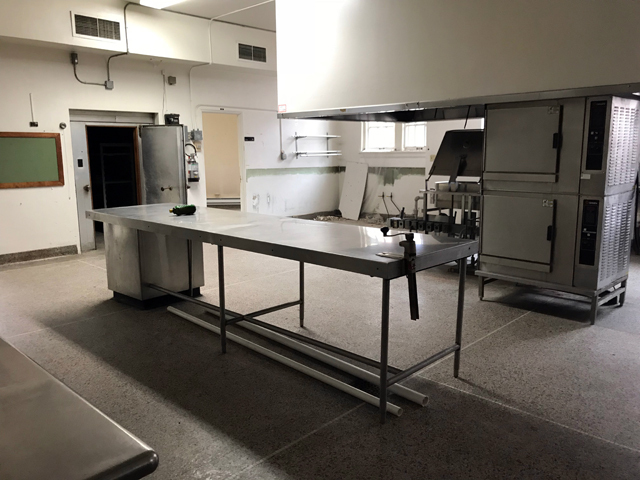 The dining hall and large commercial kitche will be renovated to provide meals and gathering space for the Indian Council of the Elderly, which serves 7,000 meals annually. 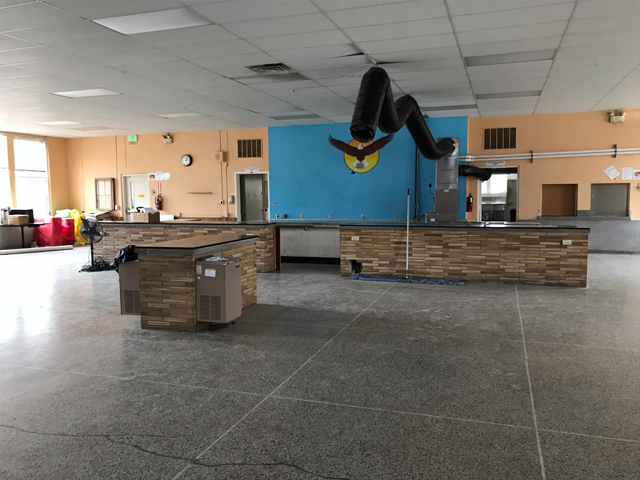 The kitchen and garden-level office space will likely be rented to an interested tenant, a local chef with a catering business. 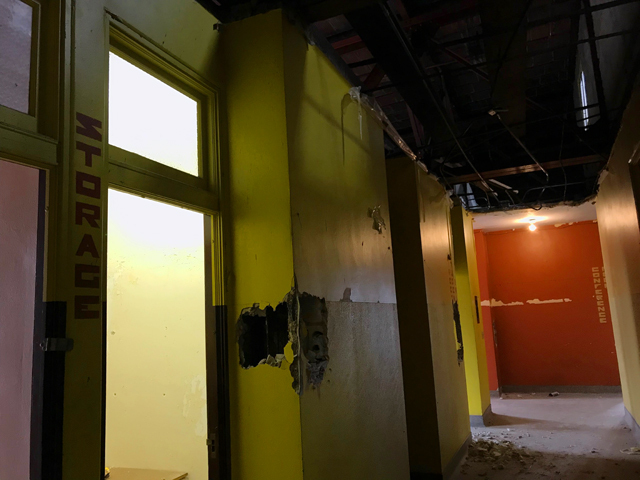 The former infirmary upstairs will be whiteboxed as one big open space and according to Forest County Potawatomi's Morgan Zeller, a potential tenant has also expressed interest in that space. A two-level parking structure is currently under construction on the campus' south end, facing Wells Street. Work on the Wgemas Building is expected to be complete toward the end of the year. Next up, according to Zeller, is demolition of the former pool building, which is not considered historic, she says. It is possible that the adjacent parking lot will be expanded to this buiding's footprint. 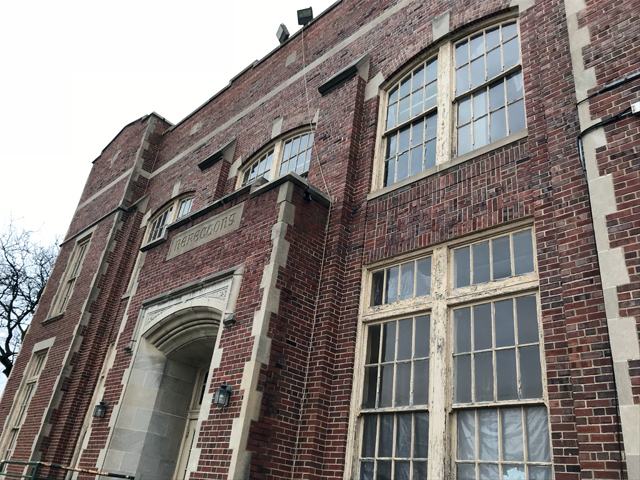 The gym building, once the Bucks' practice gym, will also be renovated, with new windows, tuckpointing and other upgrades. These projects are not expected to begin for about two years.